At Tokyo Grill House, you and your friends or family can sit back and relax in the comforts of a calming environment and enjoy the day or night together. Our chefs will skillfully prepare and display their expertise on hot plates in front of you, according to your requirement. 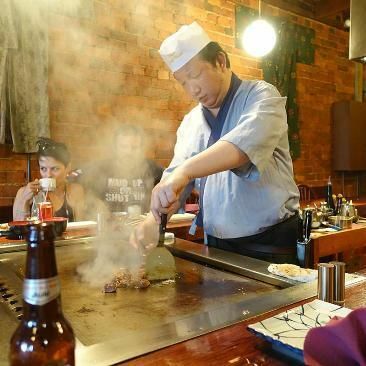 You can enjoy not only teppanyaki but also traditional Japanese dishes like Sushi, Sashimi, Udon Noodle, Bento and Wagyu Steak at new Tokyo Grill House on Armstrong Street.